On average, students who received Seeing Stars instruction achieved significant improvements in reading. They made large (significant) standard score changes on all measures. Additionally, the 31-point percentile increase in Word Attack put these students within the normal range (25th–75th percentile). 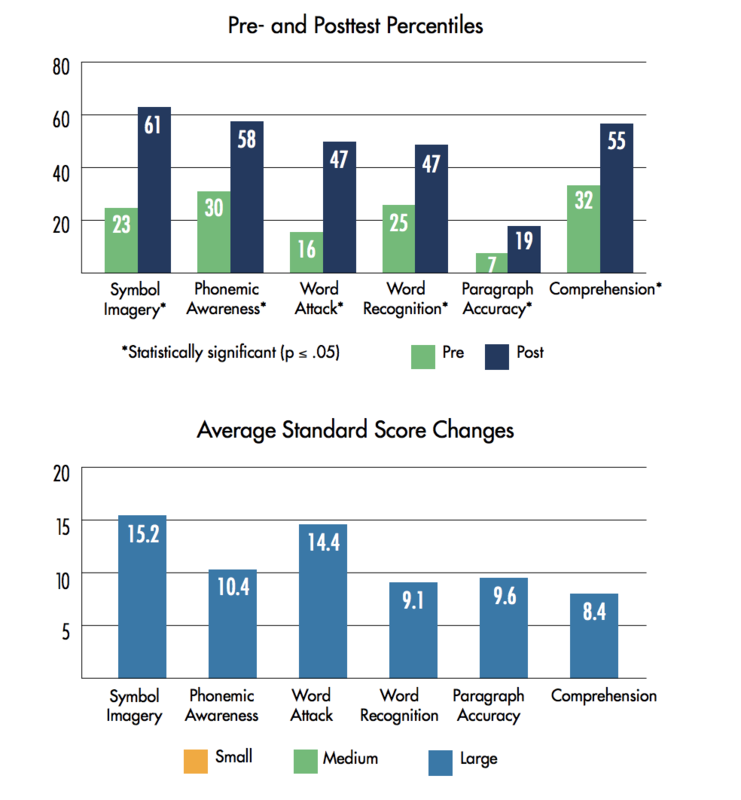 Although the largest average standard score change can be seen on the symbol imagery measure, it’s important to note the large average standard score change on the comprehension measure. Students’ gains in decoding resulted in a great improvement in comprehension, the only reason to decode.